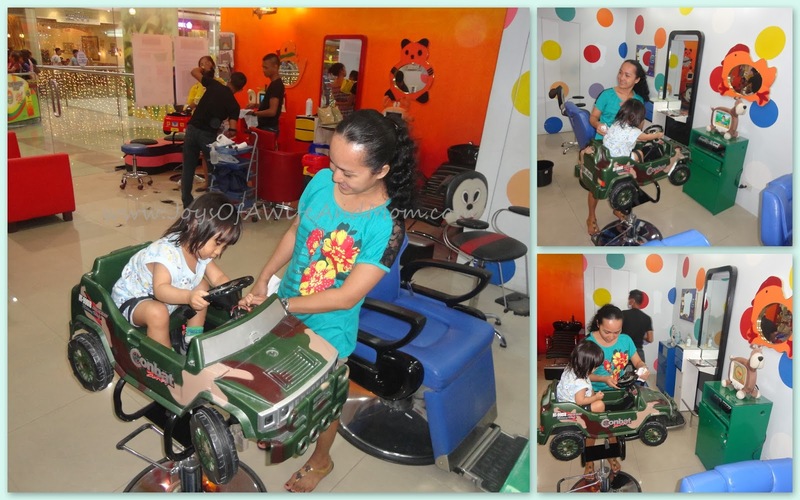 Anyway, since his first hair cut at Cuts 4 Tots last December 2012, we have never visited any barber/kiddie salon. I was always the one snipping his bangs, yes his bangs only. I was really planning of growing his hair long that time. Well, I guess there's nothing wrong with toddler boys with long hair. So there. So, off we went to SM North EDSA and checked out Cute Cutters (I hope I got the kiddie salon's name right). 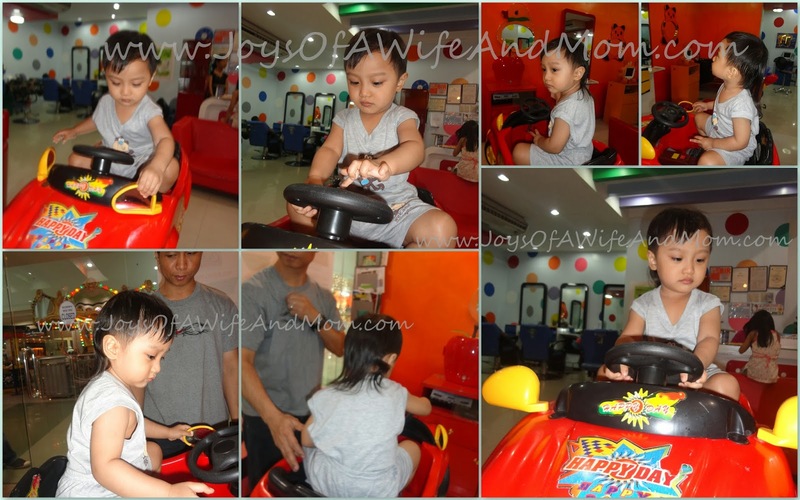 I had a somewhat bad experience at Cuts 4 Tots and besides, I really wanted to try this new kiddie salon this time. I'm not closing my doors with Cuts 4 Tots though, who knows, we'll visit them again next time. Trev was in his happy mood when we traveled to SM. 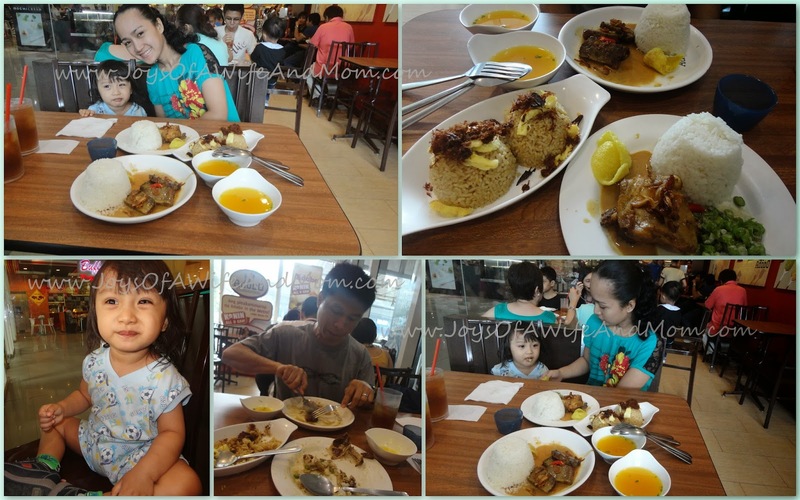 We even had a happy lunch time at Adobo Connection. After lunch, we went straight to Cute Cutters. My little prince was still in his happy self especially when we made him sit in one of the "car" seats. He was loving it. But not until the barber started snipping his hair. I was a little surprised because I honestly thought that Trev would not feel afraid anymore. 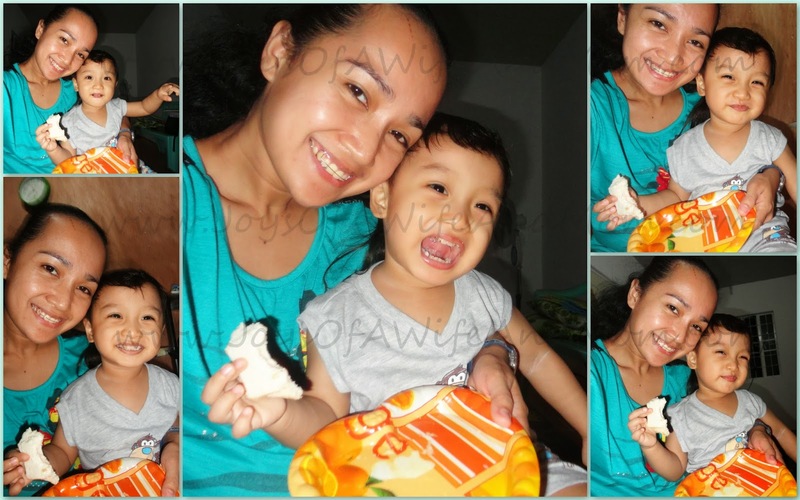 I thought I was able to somehow psych him because it's one of our regular activities every month. Whenever he sees me with a pair of scissors, he knew I would snip his bangs, and he's actually excited everytime. But no, not with Mr. Barber. Huhu. He cried buckets of tears from start to finish. Kawawa. After like about 30 minutes or so, the hair cut was finished. And Trev finally stopped crying. Cute Cutters is located at the top level of SM North EDSA's Main Mall (City Center). We had a great experience with them. All the staffs were cheerful and friendly. Regular hair cut was kind of pricey though. We paid Ph300 for Trev's hair cut. He looks so different after the haircut and yes once they start school they are not allowed to keep long hair. My cousin also wants my nephew's hair long. We all wanted to cut his hair. He is already 2.5 years old and he never had a haircut. I was going to ask why you cut his long hair but then I saw the after photos and forgot about it. He just got even more cute! hehe :) Happy New Year Van and family :) Yung nephew ko umiiyak din lagi sa barber, kahit sa specialty barbers like where you went, sayang tuloy ang mahal na bayad kasi hindi natatapos lol. Trev look so cute with his new haircut~ and the food look so yummy!